State Explosion is a fundamental challenge for model checking methods. This term refers to the potentially exponential growth of the state space of a program as a function of the number of its components. Compositional reasoning is a technique which aims to ameliorate the effects of state explosion. In its essence, it replaces reasoning on the global state space of a program with localized reasoning: each component is analyzed separately, based on assumptions about the behavior of the other components. The challenge for a fully automated method is the construction of the right assumptions: they should be strong enough to prove a desired property, while being simple enough for efficient analysis. 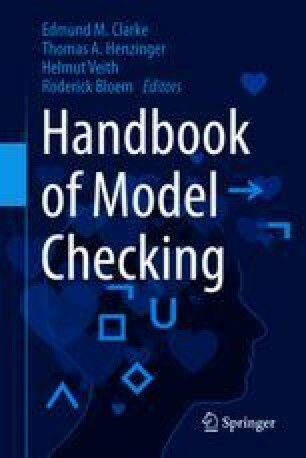 This chapter describes the ideas underlying compositional reasoning, foundational algorithms for generating assumptions, and applications.